Purple Crystals in Kingdom Hearts 3 are breakable objects you can destroy. They are huge crystals floating around in space, aka the Ocean Between. 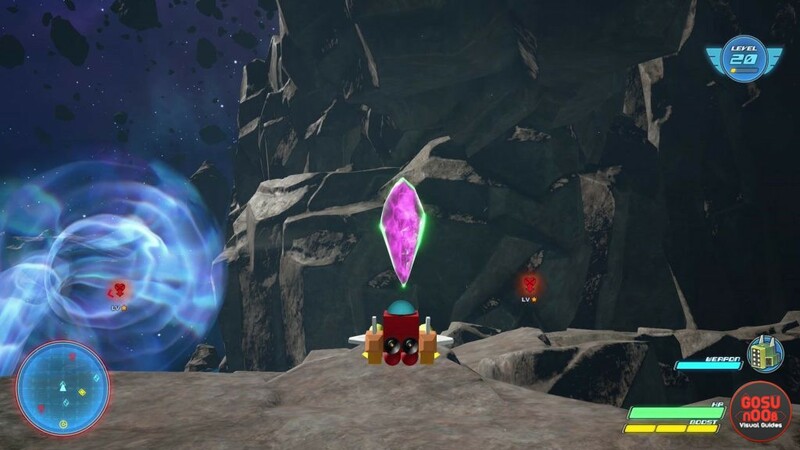 Consequently, you can only destroy the KH3 purple crystals (and blue ones) using your Gummi Ship. However, some people have been having trouble opening the purple crystals in KH3. Turns out, things aren’t that simple. That being the case, here’s our Kingdom Hearts 3 Purple Crystals – How to Destroy guide to hopefully help you out. How to Break Purple Crystals in Kingdom Hearts 3 Ocean Between? To break Purple Crystals (and, indeed, Blue Crystals) in the Ocean Between in Kingdom Hearts 3, you have to shoot them with the Gummi Ship. That sounds simple enough, right? Well, unfortunately, it’s not all that simple. First off, you want to upgrade your ship’s weapons to be able to crack the crystals open. And, even then, it might not work. From what we can tell, it seems that some crystals can’t be opened until you reach a certain character level, and/or upgrade your ship further. Basically, when you come across a crystal, try shooting it for about half a minute or so. If it doesn’t open, come back when you’ve leveled up, and try again. If you’re early in the game, and not sure what I’m talking about, let me explain. The Ocean Between is basically space; as in, the areas between the worlds. You get to explore space in your Gummi Ship. If you follow the blue diamond icons on your radar while exploring the cosmos, you’ll come across gigantic blue and purple crystals. The purple ones are important, because they drop specific blueprint fragments, like VGA-05. If you collect all fragments from a set, you’ll get the majestically-named Special+ Blueprint. So, it pays off to level your character, hop into your space ship, and go exploring. Another really compelling reason to explore the Ocean Between is that you can find and farm valuable materials by completing minigames or shooting asteroids. For more info on that, check out our Where to Get Adamantite, Electrum & Orichalcum and Damascus Locations – Where to Find Material. Or, for more general info on your space ship, go to our Gummi Ship Customization, Materials & Blueprints.